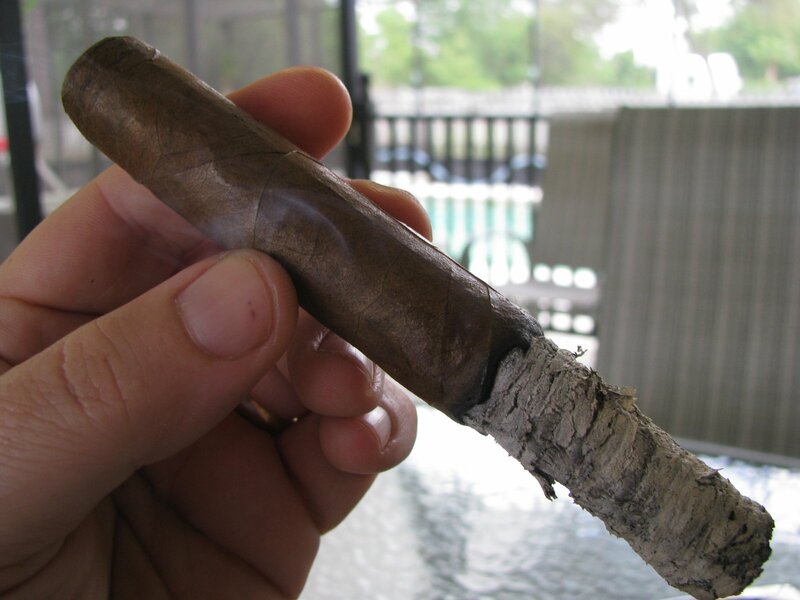 During the IPCPR tradeshow last year, a number of new cigars were announced by A. Fuente. Some of them have since been released, but relatively little has been subsequently seen of one new line, the Casa Cuba. They have held this trademark for many years, but as far as I can determine it has been mostly out of use, except for some cigars marketed and sold through Tampa Sweethearts that bear the name. My understanding is that this is an entirely new line. I managed to get a couple of examples of this upcoming line at CFC, and later at a Fuente event I attended. Little is known as to the composition or pricing of the Casa Cuba, but I thought since I had two of them I’d at least try to write up a quick review. 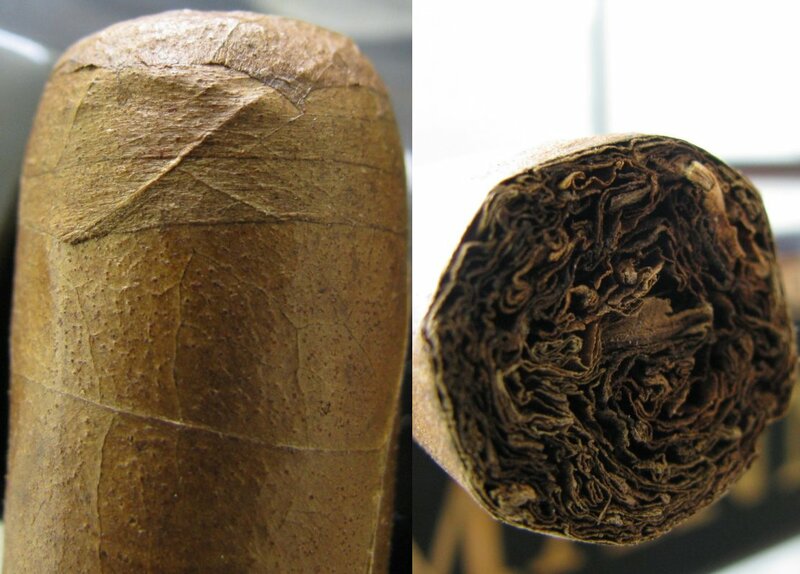 My examples were of the same vitola – basically a toro, coming in just a hair’s breadth short of 6 inches, and about a 50 ring. In speaking with a rep, there will apparently be a few different sizes from which to choose once they are released. The packaging was not yet ready, so both were unbanded when given to me. As I have come to expect from Fuente, the construction is absolutely impeccable. The wrapper has an oily sheen, and while it has a very fine tooth, or grain, overall it is very smooth to the touch. There are prominent but unobtrusive veins on both. One of them does have a noticeably more red hue, but I noticed no difference in the flavor. I might not have even noticed the difference if I weren’t accustomed to differentiating hues on the brown spectrum from years of looking at furniture finishes. Prelight, the foot aroma was of sweet, freshly hewn hay; the wrapper scent was similar but more sedate. Both sticks are very firm throughout their length, and well packed. So dense, in fact, that I am pleasantly surprised by how freely they drew. The prelight draw gives a strong hay flavor, not at all reminiscent of any other Fuente product I can think of…and I have tried many. Once again, the near perfect construction is apparent in the draw – just a slight resistance; in my “Goldilocks” zone. Not too tight, not too loose. Just right. as a Fuente composition. The aroma in the early portion was very much like what I associate with a stout Nicaraguan puro, with some slight astringency. That has mostly dissipated by this point. If you are a fan of the Opus X line, you’d probably recognize the occasional puff or two of the almost oatmeal-like flavor of a well-aged Opus. But just a hint. There’s still some citrus coming through as well. Going into the third inch of smoking, the ash is still clinging tightly. In fact, it did not let go until about 3″. In the final stretch, the leather flavor develops quite a bit more, as does the sweet oat flavor. The initial spice peeks through on occasion, but it is far less bold than in the beginning. The final half-inch is bound by citrus and leather as well. Overall, the blending in this cigar is an enigma to me. I can pick up slight glimpses of other Fuente offerings – there are occasional flashes of Don Carlos, the Magnum R’s, or even a well rested Opus. But, in the end I can’t say it is a near match for any of their other standard lines. It’s not the powerhouse smoke found in some of the blends Carlito favors, nor does it have the milder signature of Carlos Sr. Despite the few flavor descriptors I’ve used above, it is a very complex cigar that I found interesting from first light to final puff. It began with a modest kick in the pants, and ended firmly embedded into what I would deem medium in strength – and I found the flavors captivating throughout. Those of you who know me know that my absolute favorite cigar is the Arturo Fuente Don Carlos #3. Will this replace that for me? No. Will there always be some Casa Cubas in my humidor? A resounding “yes!” Absolutely. Assuming the blend is the same once they are released, this nicely fills a niche for which I commonly have use. It is lively and bright in flavor, without being too overpowering for a nicotine-wimp like myself. The flavors are comfortable and pleasurable; this cigar is bold enough to keep your attention and focus, but approachable enough to enjoy while your mind and/or hands are elsewhere. There is plenty of complexity to maintain interest for the duration. That, bundled with typical Fuente construction and burn characteristics, make for something right up my alley. I highly recommend you give them a try when they hit the market later this year. Hi Kip, really enjoyed your comments about the Fuente’s cigars,looking forward to your next review. Thanks, man. 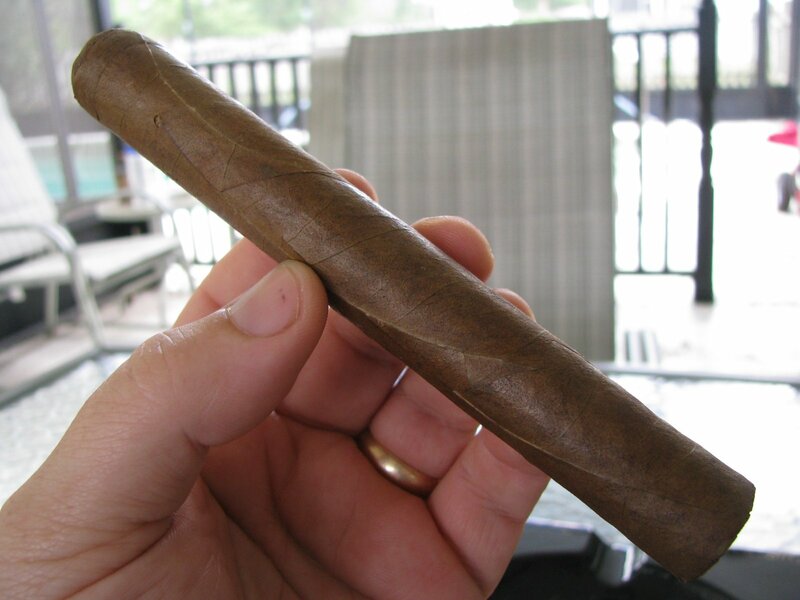 FYI…if you listen to Dogwatch Cigar Radio, they’re having a gathering on July 27-28 at Tranquilo Cigars in Melbourne. If you’re interested, email me at [email protected] and I’ll forward the details.